Essie Davis and the cast of Miss Fisher’s Murder Mysteries are reuniting for the feature film Miss Fisher & The Crypt of Tears. Production will finally get underway in Morocco and Melbourne in October, answering the prayers of thousands of global fans who had campaigned for the return of the exquisite sleuth and a successful crowdsourcing fund. 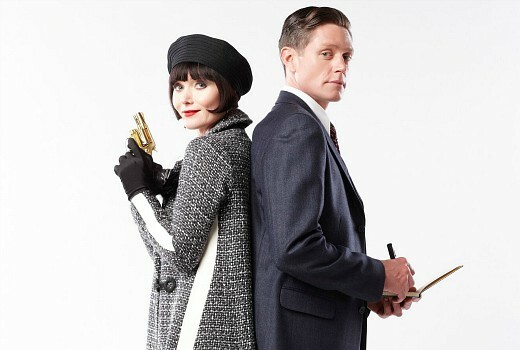 Essie Davis returns, joined by Nathan Page as Detective Inspector Jack Robinson, Miriam Margolyes as Aunt Prudence and Ashleigh Cummings as her loyal assistant and maid Dorothy ‘Dot’ Collins. Deb Cox returns as writer, and co-executive producer with Fiona Eagger from Every Cloud Productions. Eagger and Lucy Maclaren are also co-producing. The film will be directed by Tony Tilse, set-up director on the television series. Cox says the tale, spanning from London to British Palestine, promises “a ride full of twists and turns as Phryne’s Middle Eastern adventures find her hunting for missing treasure, racing the clock on an apocalyptic ancient curse – and still finding time for romantic dalliance – in the sweeping deserts and sumptuous mansions of this exotic big screen production”. The film opens with the Honourable Miss Phryne Fisher rescuing Shirin Abbas, a young Bedouin woman, who has been thrown into jail in British Mandated Palestine, for making trouble at a time of colonial unrest. After a perilous escape from Jerusalem, she rejoins Shirin as a fellow guest in the home of Lord and Lady Lofthouse, for the London ‘season’ and she pledges to help her right a wrong and discover the truth about the Crypt of Tears – an ancient crypt rumoured to lie somewhere beneath the rolling sands of the Negev Desert. I was just thinking about this the other day and wondered if there would be any news? That is good news indeed! Something to look forward to.